Gorgeous white soft satin fabic. Suitable for hanging smaller adult garments, tops, dresses, bridal & lingerie etc. Satin cushioning with strengthened inner wooden bar. Fabric covered shoulder buttons to secure straps, loops etc. Presented in a sealed Hangerworld Clear Polythene Pack. Size: Width 38cm (15") approx. 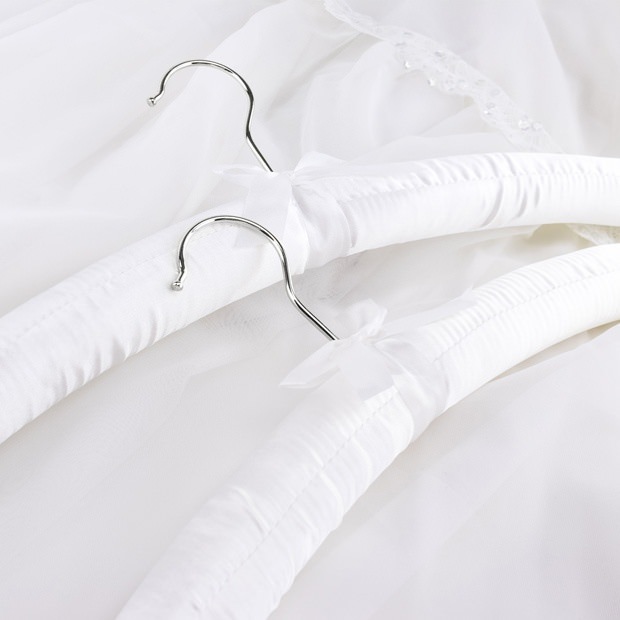 I am pleased with these white satin hangers, which are just as described. Good quality at a good price.